Hannah McConn and Randryia Houston are students in the African American Studies program at UH who have created a new nonprofit organizaton that aids schoolchildren in Ghana. It was a comment made by a school administrator in Ghana to a studying abroad group of UH African American Studies students that started it — the revelation that elementary school students in the African country drop out at an early age as a result of something as little as not having a pencil to do their work. That single complaint frustrated Randryia Houston and Hannah McConn, two of the students who participated in the AAS Summer Study Abroad in Ghana trip that summer in 2009. A friend of theirs, Tiffany Lester — an English major and former president of the Resident Hall Association — came up with the idea that they should start a big school supply drive. "When we got back, we were really frustrated," McConn said. "We knew that we wanted to help the Ghanaian people in some way, but we didn't really know how, and we kind of felt that as students, we didn't have the means or revenue to do so in a huge way. So, she (Lester) suggested we just start with pencils." "We wanted to help ... as students, we didn't have the means or revenue to do so in a huge way." From that frustration, The Pencil Project was born — and this summer, when Houston and McConn returned to Ghana for the AAS Summer Study Abroad program, they brought with them more than 30,000 pencils to donate to children. "When we were given this opportunity to go to Ghana, it just opened up a new world to me," Houston said. "Our professors in the African American Studies program really pushed the idea of, 'Americans always go to places, and they take and they never give back.' So that's why they asked that we bring school supplies on the trip to give back to the local people and to give back to the communities and the cultures that we visit. So I guess we took that idea and we ran with it. It was simple — it's just a pencil and it's very inexpensive and it's something we take for granted here, that the children really need there." Houston is currently pursing a master's degree in international social work from the UH Graduate College of Social Work, and her background — and passion — is philanthropy. She previously graduated with a sociology degree from the College of Liberal Arts and Social Sciences and is pursuing a Graduate Certificate in African American Studies, and has spent time balancing her coursework with internships through the American Humanics Nonprofit Certificate Program and Families Under Urban and Social Attack — now called Change Happens!, a local nonprofit organization. She's from northwest Houston and is a Westside High School graduate. "If you're going to live here, because all of my family is here, why not go to an institution that has alumni that are still in the city?" Houston said. "At the end of the day, it's about building those networks while you're in college that can guarantee you the connections that you need." McConn is starting her last year as an undergraduate and plans to attend the UH Law Center next fall. A graduate from Nimitz High School in Humble, she was the president of the UH chapter of the Keep a Child Alive foundation, a nonprofit organization started by Leigh Blake and singer Alicia Keys. Her passion is politics and international law, and she has been an intern in State Senator Rodney Ellis' office whose district includes the UH campus. In 2009, she participated in the Texas Legislative Internship Program through the Hobby Center for Public Policy. "I went to Ghana wanting to study the politics, but there's nothing — I couldn't study anything about it because it was the education system that was so broken there," McConn said. "I don't think people can put the right people in office and make the right decisions for the country to move forward until the people are educated enough to read, and until the literature is all in the same language or that it's all uniform so that everybody can understand it." Houston and McConn recently registered The Pencil Project as an official nonprofit 501(c)3 organization, and they hope to expand its outreach to other continents and African countries. Houston said that their five-to-seven year plan includes opening a boarding school in Ghana. "If the kids don't have the pencils, they never advance and even get to middle school because they (dropped out) in elementary school." "A lot of the families farm there, so the kids are needed to help with the farming and school supplies are an additional expense that the families might not be able to afford," Houston said. "I think that minimum wage there is like less than two dollars a day. This is our small way of lessening that burden so that the kids will continue to be in school. Pencils are used primarily for the lower grade levels as they are here, so if the kids don't have the pencils, they never advance and even get to middle school because they left in elementary school." 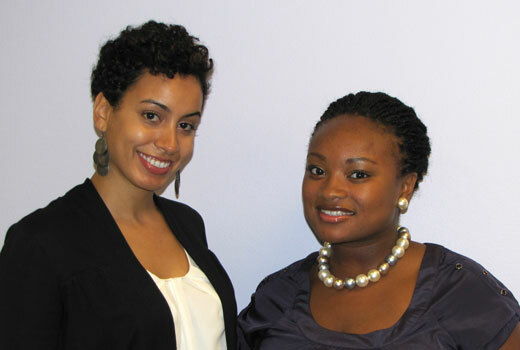 For more information about the African American Studies program, and its Summer Study Abroad in Ghana program, visit http://www.class.uh.edu/aas/. For more information about The Pencil Project, visit www.pencils4ghana.org. Drop off donations for The Pencil Project in the African American Studies office, Room 629 Agnes Arnold Hall.